PANETTA, Leon Edward, (father of James Varni Panetta), a Representative from California; born in Monterey, Monterey County, Calif., June 28, 1938; graduated from Monterey Union High School, Monterey, Calif., 1956; B.A., University of Santa Clara, Santa Clara, Calif., 1960; LL.B., Santa Clara Law School, Santa Clara, Calif., 1963; admitted to the California bar in 1965; lawyer, private practice; United States Army, 1963-1965; legislative assistant, United States Senator Thomas Henry Kuchel of California, 1966-1969; director, Office of Civil Rights, United States Department of Health, Education, and Welfare, 1969-1970; executive assistant to Mayor John Vliet Lindsay of New York City, 1970-1971; elected as a Democrat to the Ninety-fifth and to the eight succeeding Congresses until his resignation on January 22, 1993 (January 3, 1977-January 22, 1993); chairman, Committee on the Budget (One Hundred First and One Hundred Second Congresses); director, Office of Management and Budget, 1993-1994; chief of staff, The White House, 1994-1996; chairman, Pew Oceans Commission, 2000-2003; private advocate; director, Central Intelligence Agency, 2009-2011; Secretary of Defense in the Cabinet of President Barack Obama, 2011-2013. Papers: 512 cubic feet. Personal, business, and congressional papers and correspondence. Closed. Papers: In the Biography clippings : PANETTA, Leon, 1951-2005, 4 folders. Newspaper clippings documenting the career of Leon Panetta. Papers: In the Immigration clippings, 1990-1994, 1 folder. Newspaper clippings documenting Leon Panetta's activities with immigration. Papers: In the Panetta Institute clippings, 2002-2007, 1 folder. Newspaper clippings documenting the Panetta Institute. Papers: In the Oil leases clippings, 1979-1990, 5 folders. Newspapers clippings documenting Leon Panetta's activities with oil leases. Papers: In the Political campaigns clippings, 1906-2008, 11 folders. Newspaper clippings documenting Leon Panetta's political campaigns. Videocassette: 1993, 1 videocassette. A video of the Senate hearing to confirm Panetta as OMB Director. Panetta presents his qualifications, and is then questioned by the Senate Governmental Affairs Committee to determine if he should become OMB Director. Videocassette: 1993, 1 videocassette. Leon Panetta, Director of the Office of Management and Budget, speaks about President Clinton's Budget Plan. Includes questions and comments from the TV audience. Videoreels and Videocassettes: 1984-1990, 2 commericals on 2 videoreels and 8 commercials on 2 videocassettes. 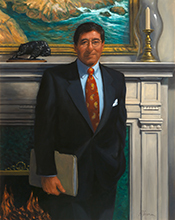 The commercials were used during Leon Panetta's campaigns for the 1984, 1988, and 1990 U.S. congressional elections in District 16 of California, Democratic Party. Panetta, Leon E., and Peter Gall. Bring Us Together: The Nixon Team and the Civil Rights Retreat. Philadelphia: Lippincott, 1971. ___., and Jim Newton. Worthy Fights: A Memoir of Leadership in War and Peace. New York: Penguin Press, 2014.